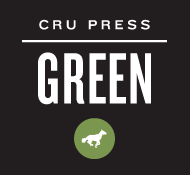 “Going to a Cru conference gave me the tools and the passion to share about God and have spiritual conversations. One night, I ended up talking about spirituality with my friend Tyler. He said, “Ryan, I really want to know more.” We started talking about the gospel, and he believed it, and decided to place his faith in Christ.” – Ryan H.
“I was invited to a Cru small group and showed up not knowing what to expect. We studied the Bible and prayed together. We also shared about what was going on in our lives. I have been able to build some really close relationships and grow closer to God as well.” – Dave S.
“My life before I found Christ was filled with a lot of partying and I was pretty lonely. I found Cru and ultimately found Christ through Cru. I’ve been able to expand my relationship with Christ and have real relationships. I’m hoping to have a future career in psychology and I want to incorporate what Christ wants for me in that.” – Ryan M.
“I grew up going to church, but I didn’t know God. I didn’t understand anything about the Bible or Jesus. When I was nine, my father left. I was a really broken person. When I got to college, my roommate introduced me to Cru. 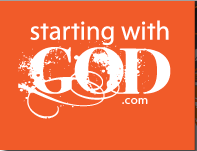 Through Cru I became very close to God and began a personal relationship with Him. I’m so excited to see what He is going to continue to do in my life!” – Jennifer C.
These are just a few of the many Rochester student stories that could be told. This year over 220 students were involved with Cru in Rochester, including 7 new believers! Thank you for your partnership. Without you, we would not be able to provide the behind-the-scenes support that helped enable the Cru staff in Rochester to introduce students to Jesus. You are changing the lives of college students. This entry was posted in Discipleship, Evangelism and tagged evangelism, RIT, Rochester, share faith, St. John Fisher, testimony, training. Bookmark the permalink.